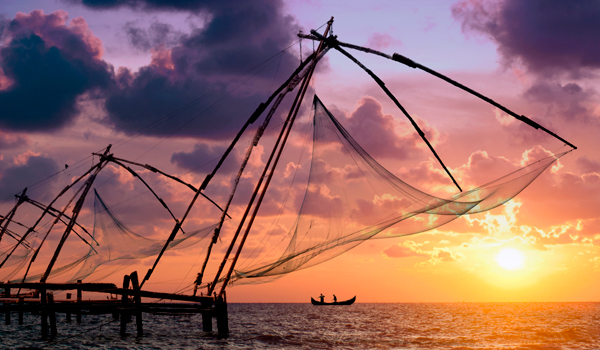 The largest city in Kerala, stunning Cochin is one of India’s most visitor-friendly destinations. Also known as Kochi (and referred to as ‘the Queen of the Arabian Seas’ during its spice trading past), it was colonised by the British, Dutch, and Portuguese, and these days its architecture, its diverse populace and its gorgeous streets still lend it a melting pot sensibility. Here, the pace is slow, the food richly spiced, and serene waterways ubiquitous, as the city is strewn across a collection of islands and peninsulas. Looking to get immersed? From cookery classes to dance performances, temples to synagogues, here are 10 of the most unforgettable things to do in Cochin. Classical Kathakali dance, a Keralan tradition that dates to the 1600s, is almost certainly unlike any dance you’ve ever seen. Performers are outfitted in extraordinarily elaborate, colourful costumes, and accompanied by live musicians. 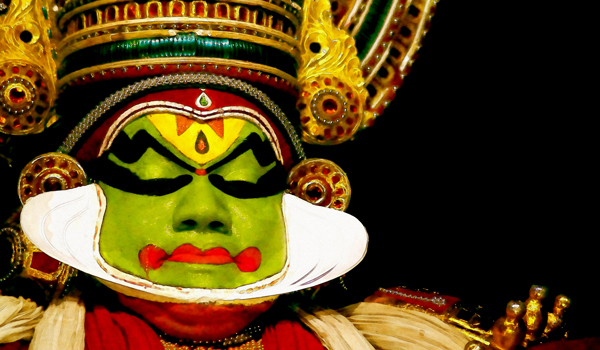 In Cochin, the Kerala Kathakali Centre is the ideal venue to take in a show. Keralan cookery lessons, taught by a professional chef of over 20 years in her own home: it doesn’t get much more authentic than the courses offered by Nimmy Paul. Get versed in this rich and spicy cuisine – and bring some techniques back with you. 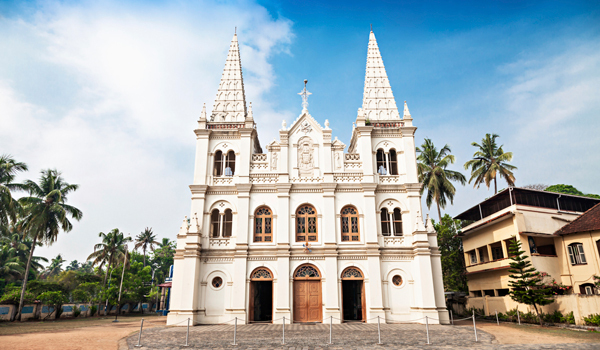 Dating back to the Portuguese colonial era, the Santa Cruz Basilica is one of the best-known and most beautiful landmarks in Cochin. The structure was rebuilt after being demolished in the late 19th century, and its impressive edifice is worth seeing up close. In Kerala, people from various faiths and religious traditions share the same space peaceably, and nowhere is that truer than Cochin. An important landmark in the local Hindu tradition, the striking Ernakulathappan Temple is dedicated to Lord Shiva, and is emblematic of Keralan architectural design. 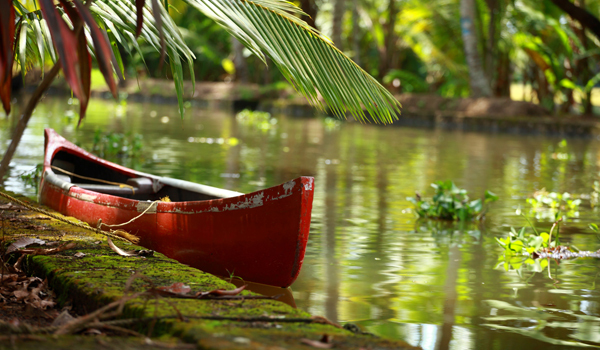 Looking for the best things to do in Cochin? There are few better ways of getting acquainted with the city than going on a boat tour of its many waterways. Various offerings are available for the famous Keralan backwaters, while sunset tours of the harbour are undeniably romantic. Another example of Cochin’s diverse, colonial past, the historic ‘Jew Town’ area was an important sector in the city during the height of the spice trade. While few Jewish residents are found here today, there are still a number of important landmarks in the area, including the stunning Paradesi Synagogue. 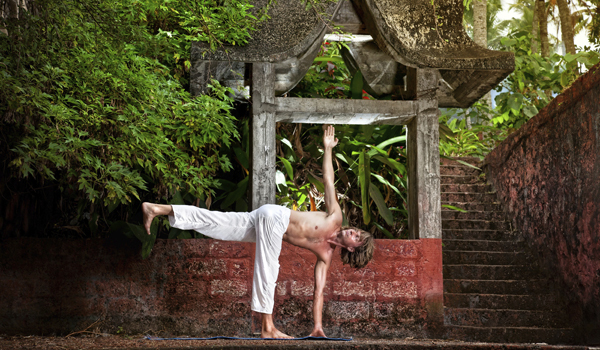 In South India, yoga has been practiced for thousands of years. Whether you’ve mastered your downward dog or have yet to begin, there are few better places to become acquainted with the tradition than at one of Cochin’s many yoga schools. The Veda Wellness Ayurveda Spa and Yoga Center is only one of many excellent options. Looking to take home some souvenirs from your travels? One of the best things to do in Cochin is to stop by the independently run Kochi Books, located in the Fort Cochin heritage zone. Here you’ll find classics hailing from India and beyond – there’s nowhere better to buy your own copy of the Bhagavad Gita. 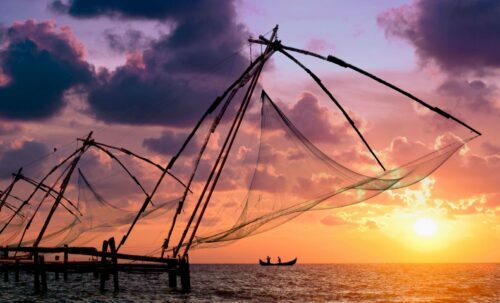 Perhaps the best recognised symbol of Cochin the world over, the stunning Chinese fishing nets located in the north of the Fort Kochi sector of the city are a sight to behold. Though the nets have an ancient history, they’re still being used to reap a marine harvest today. Historic Mattancherry may well be the most scenic part of Cochin, given its many landmarks and unspoiled examples of historic architecture. One of the most alluring is the eponymous Palace, which was originally a Portuguese gift to the local Raja. Today, it’s a must-see for its colourful murals that depict scenes from ancient Indian epics.